At Surrey Business School (SBS) our alumni are part of a thriving community, benefitting from lifelong connection with us and with fellow alumni, sharing experiences and expertise and enjoying alumni-exclusive offers, events, networking and volunteering opportunities. 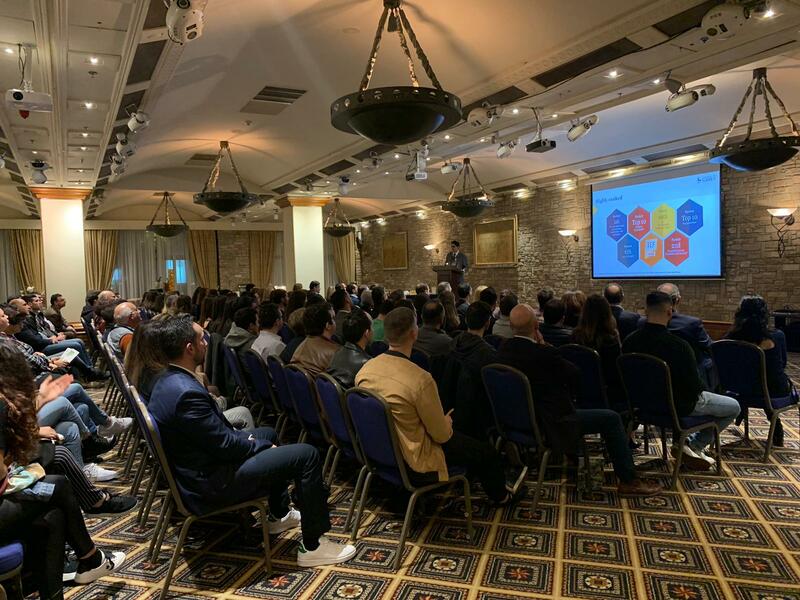 Professor Marco Mongiello, Seema Jagdev, SBS Advancement Manager and Dan Wide, SBS Alumni and Development Assistant attended an event, held at The Hilton Cyprus on 5 March 2019. This was the first alumni event held in Cyprus in 10 years. The University of Surrey have 1,985 alumni in Cyprus, with 319 of those from SBS. “We were delighted to meet so many Surrey (and SBS) alumni and applicants in Nicosia, Cyprus. The event was a networking success for many successful alumni, who forged new connections and strengthened existing ones. 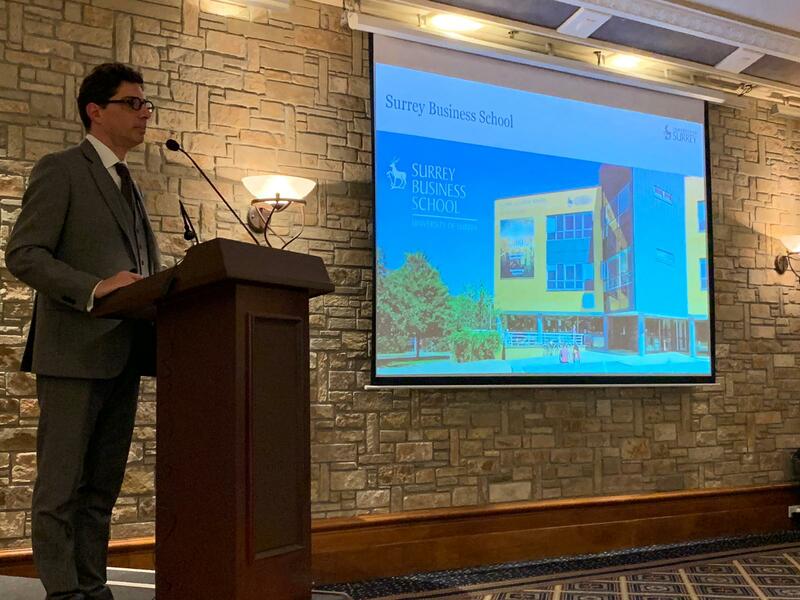 Also, it became a tremendous opportunity for applicants to hear from their predecessors, how they have progressed into fulfilling their professional dreams as alumni of the University of Surrey.” Professor Marco Mongiello (pictured below). 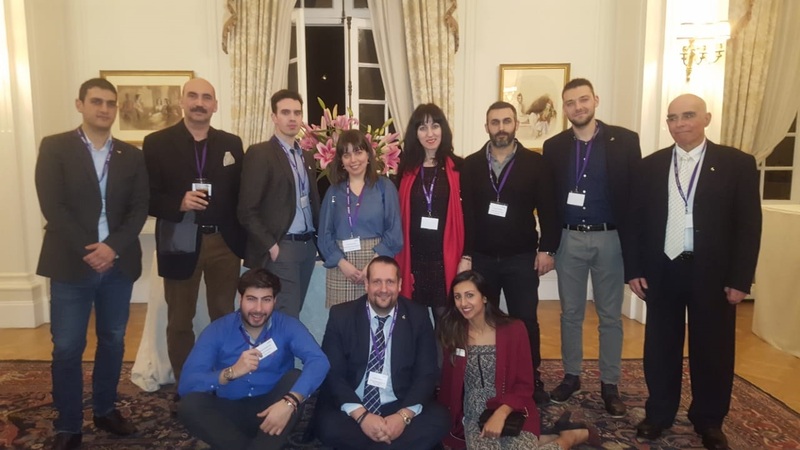 The University of Surrey Advancement Team invited alumni to volunteer at an applicant event, which took place at The British Council Residence, Athens on 8 March 2019. The university is proud to have over 4,630 alumni in Greece. SBS received 11 volunteers taking part on the night to help. Seema Jagdev (pictured below) met 1:1 with key SBS alumni members in attendance. At SBS we are always keen to connect with our community. We are delighted to announce our 2nd annual exclusive SBS Alumni Reception event in London, on 19 June 2019. More details to come soon. Please contact Seema Jagdev for up to date information: s.jagdev@surrey.ac.uk.